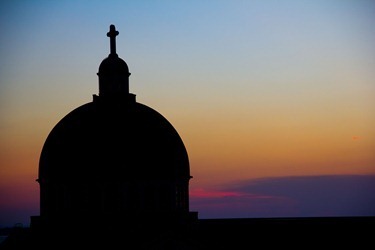 This past week was a very eventful one. 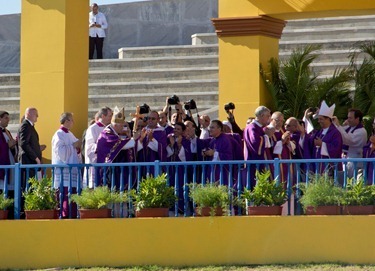 As most of you I am sure know, our Holy Father Pope Benedict XVI made his apostolic visit to the countries of Mexico and Cuba from March 23-28. 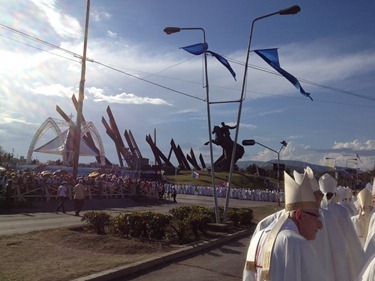 I was very blessed to be able to travel to Cuba to be with the Holy Father on his visit there. 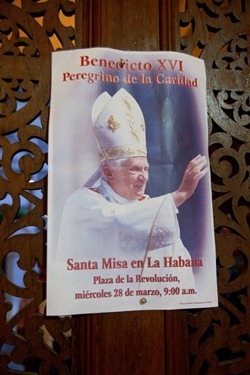 On Saturday, I traveled to Santo Domingo to be able to get to the city of Santiago, which was the first city that the Holy Father visited in Cuba. 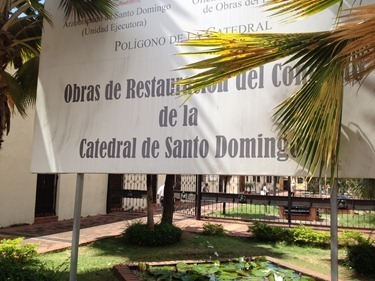 Santiago is a very difficult city to reach by plane, so I was invited to accompany Cardinal Nicolas Lopez Rodriguez, the Archbishop of Santo Domingo. 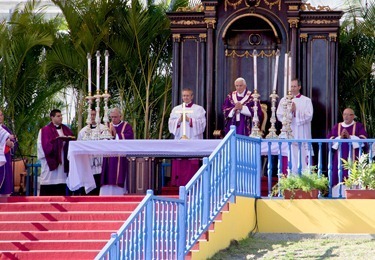 It is only about an hour flight from Santo Domingo to Santiago, and one of the Catholics there put a small plane at his disposal. 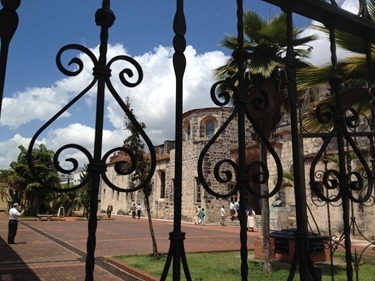 On Sunday we had some time before departing for Cuba, so I took the opportunity to make some visits in Santo Domingo. 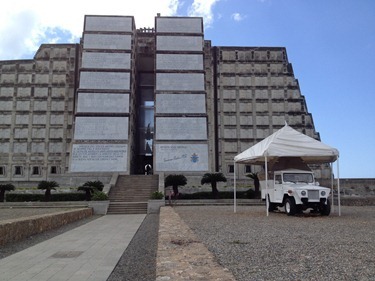 In the morning, I celebrated Mass at the university in Santo Domingo and then visited the Cathedral, which is the oldest Cathedral in the hemisphere. 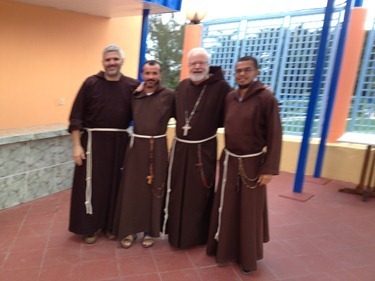 I also visited the Capuchin community, where we have young Dominican and Haitian friars in formation. 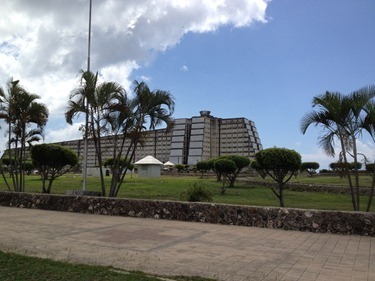 This is a picture of El Faro a Colón (Spanish for “The Lighthouse of Columbus”), which is the place where Christopher Columbus is buried. 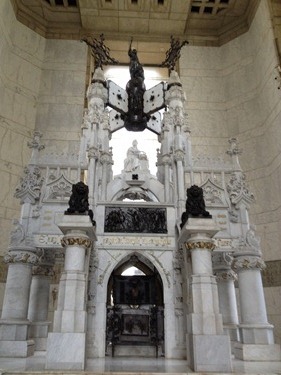 His tomb had been in the Cathedral, but it was moved to this spot where put up this huge lighthouse which projects a cross in the sky. 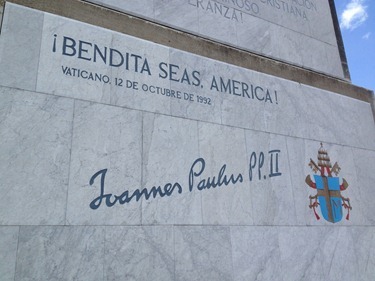 On the façade of El Faro is a letter by Pope John Paul II, who blessed the lighthouse. 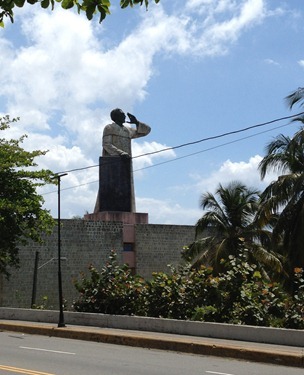 I also took this picture of a huge statue of Father Antonio de Montesinos standing by the shore. 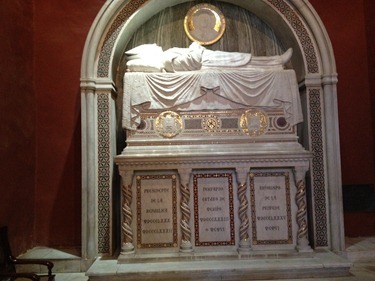 Father Montesinos was the first person to call for the ending of the slavery of the indigenous people of the island. 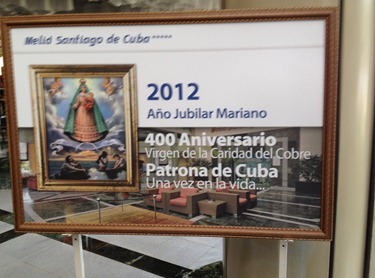 Then, Sunday afternoon, we took a small plane and landed in Santiago, which is the Primatial See in Cuba. 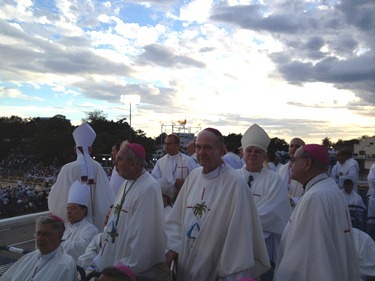 There we were met by Archbishop Dionisio Ibanez, the Archbishop of Santiago. 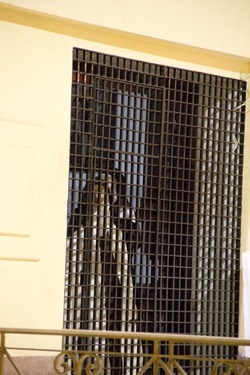 It was very good to see him again. 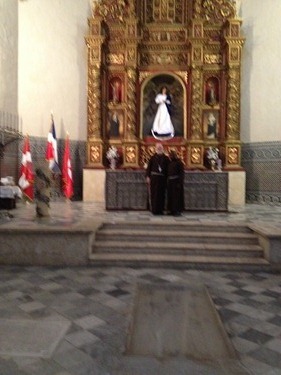 In Santiago, I spent the morning with Father Emilio, a Capuchin priest I had ordained in Washington. 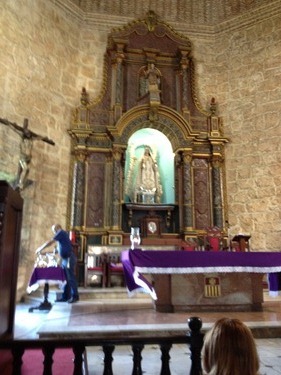 He is Cuban-American and is working now in Manzanillo, Cuba. 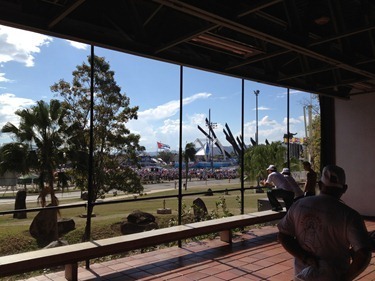 He spent almost 10 years in Papua New Guinea and now he has been almost 5 years in Cuba. 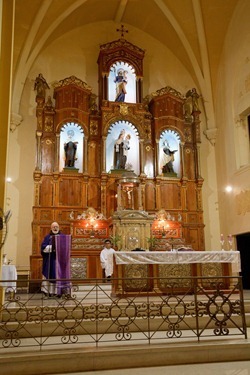 He and two Brazilian friars came with their parish for the Mass with the Holy Father and they left at two in the morning to get from Manzanillo to Santiago. 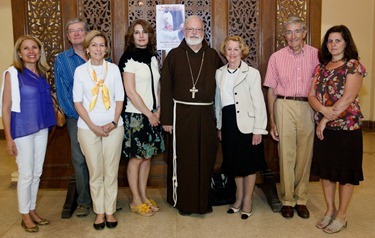 They had wonderful pastoral experiences there, so it was great to be with them. 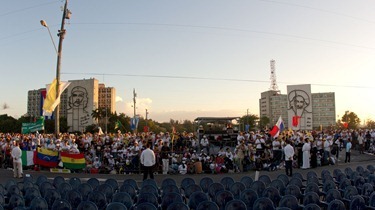 The following day was the Holy Father’s Mass at Revolution Square in Santiago, the same venue where John Paul II celebrated his Mass in 1998. 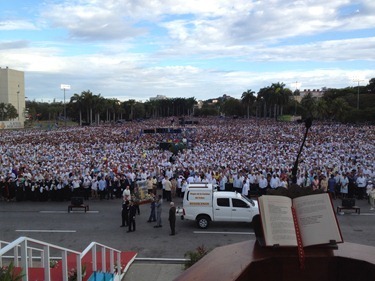 In fact, there were even more people at this Mass than John Paul II’s Mass. 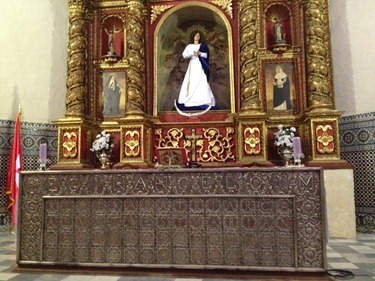 The government had declared a holiday that day, so all the schools and businesses were closed so that people could attend the Mass. 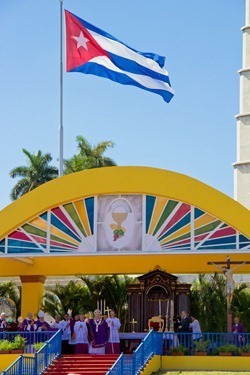 The Holy Father’s visit was occasioned by the 400th anniversary of the finding of the statue of our Lady of Charity of El Cobre, which is the most important national and religious symbol that the Cuban people have. 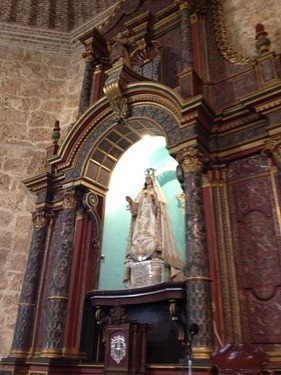 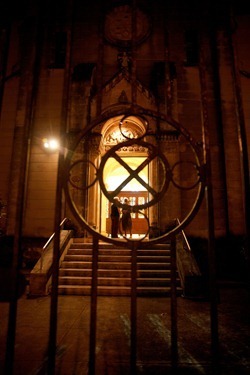 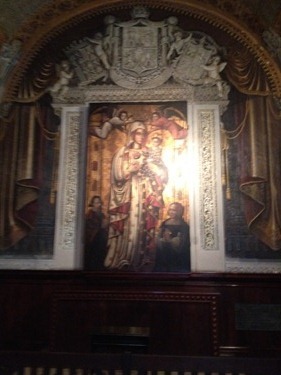 The shrine of Our Lady of Charity of El Cobre is located in Santiago. 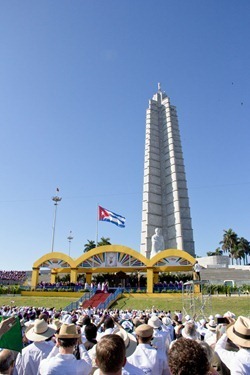 During the quadricentennial year, they carried the statue in procession to each Catholic Church throughout the country and millions of Cubans came out to venerate the statue. 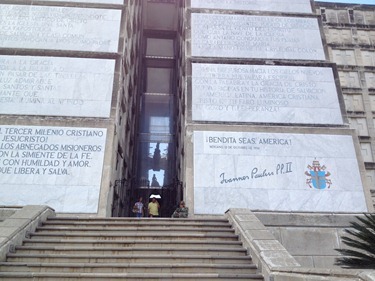 On Tuesday, we travelled from Santiago to Havana. 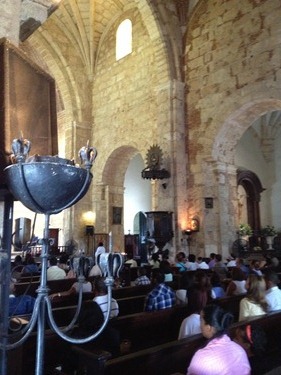 During the day, we visited La Iglesia de Jesus, the largest Church in Cuba, which is run by the Capuchins. 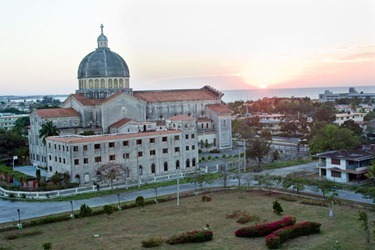 It was a short walk from where we were staying in the Miramar section of Havana. 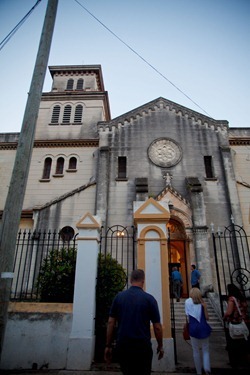 That evening I was very happy to have a Mass at a cloistered Carmelite convent with some of the Boston pilgrims who were in Havana for the Mass with the Holy Father, as well as to visit some of the programs supported by Friends of Caritas Cubana. 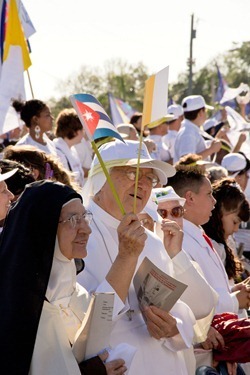 Friends of Caritas Cubana is a wonderful group based in Boston that does so much to support the Church’s charitable work in Cuba. 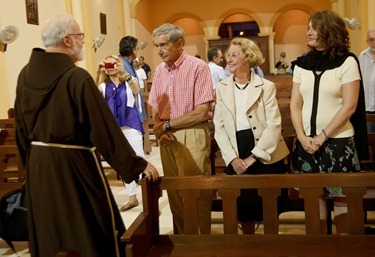 After the Mass, the Boston group went to a palador, which is one of the new privately-owned restaurants that have recently been allowed to open in Cuba. 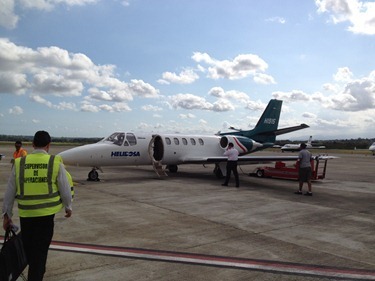 These are one example of the experiment in a new economy here, allowing some level of private enterprise. 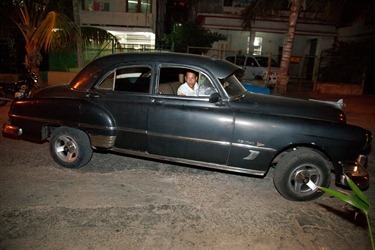 We had a very enjoyable meal and then returned to our hotels in some of the classic cars for which Cuba is so famous — much to the delight of the group. 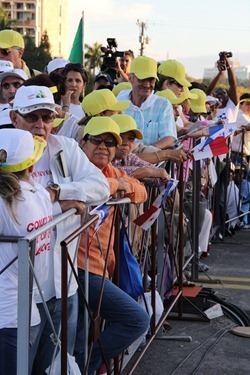 And if that wasn’t eventful enough, on the way to the hotel we passed the entourage of Hugo Chavez, who was in Cuba for chemotherapy. 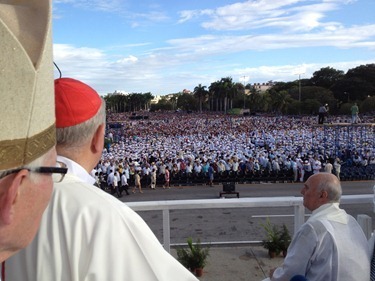 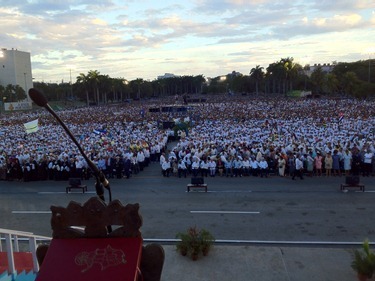 Wednesday, of course, was the Holy Father’s Mass in Revolution Square in Havana. 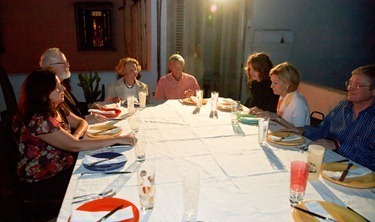 In my opinion, it was a resounding success. 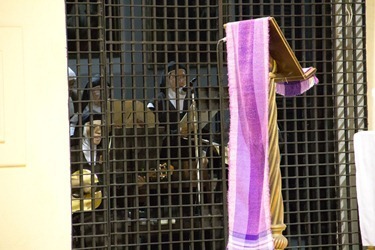 In the execution of the liturgy there was such great reverence. 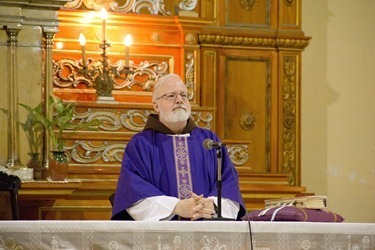 The Holy Father has introduced periods of silence in the Mass, which I think are very helpful, and he discouraged some of the outbursts of enthusiasm that often happen at these large Masses. 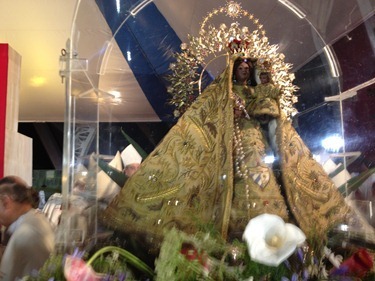 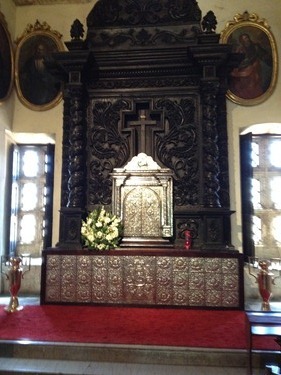 It was truly a very prayerful and reverent experience. 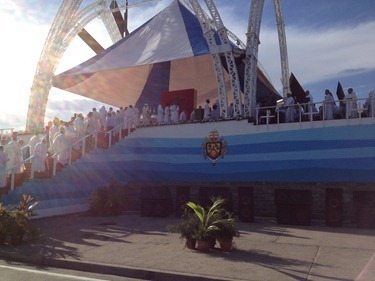 The choir which was originally formed for the Mass celebrated by Pope John Paul II when he visited Cuba 14 years ago performed for us. 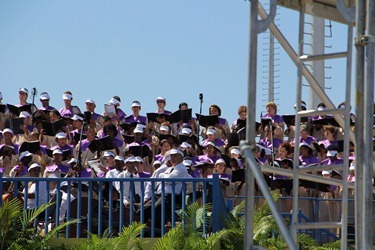 It’s an extraordinary choir made up of about 250 people, and they were just remarkable. 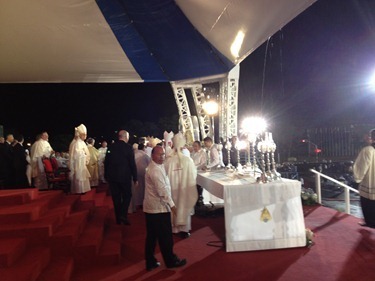 The Holy Father’s homily was, I think, very well received. 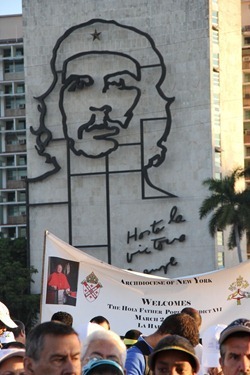 He certainly made a very strong plea for religious freedom and greater participation of the Church in the life of Cuba and the space to be able to carry out our mission. 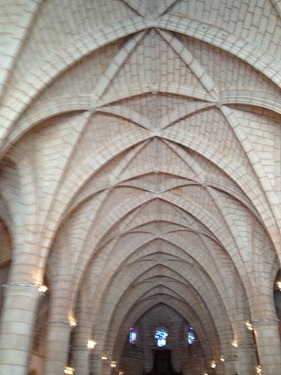 I’m sure he was referring to such areas as education and social services. 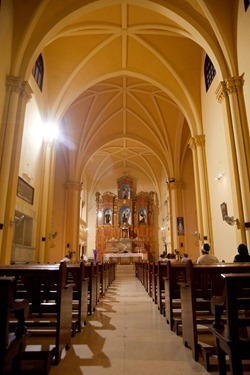 Although the Church is doing a great many things now, it is always with great restraints and in a very limited way. 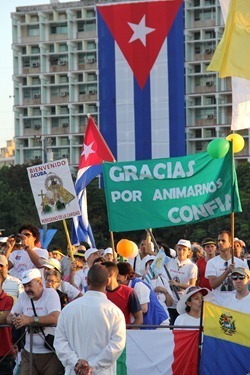 Overall, I think the Holy Father’s visit was a very important event, because it brought the attention of the world to the situation in Cuba, which is struggling for greater religious freedom and civil rights. 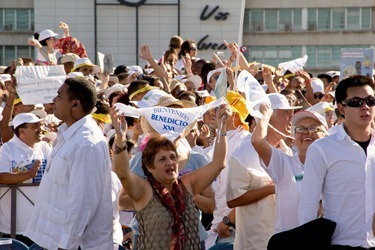 The visit of Pope John Paul II 14 years ago initiated a very drastic change in the relationship between church and state in Cuba, and much greater freedom for Catholics. 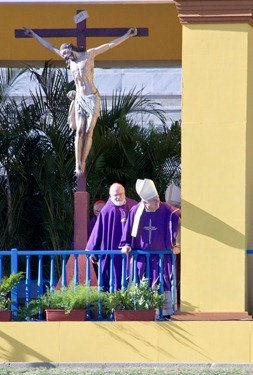 It is too early to say if this visit by the Holy Father will bear similar fruits, but we continue to pray for the people and the Church in Cuba.